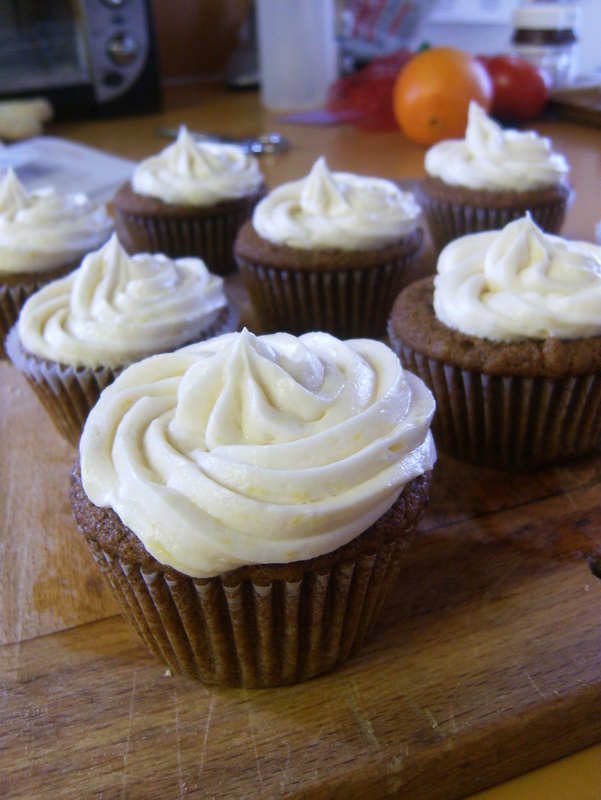 Gingerbread Cupcakes with Lemon Frosting | Cupcake Villains Strike Again! These are not particularly original, as the only changes in the recipe I made was to add more ginger and lemon zest, but hey, they’re tasty. Preheat the oven to 350 degrees, line the tins, and break out two medium bowls. In the first, sift together the flour, baking powder, baking soda, ginger, cinnamon, cloves and salt. 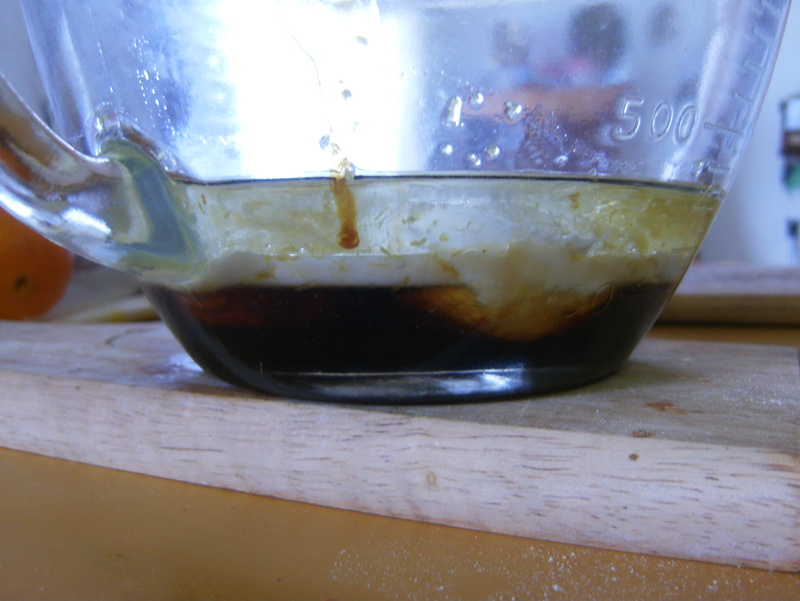 In the second, whisk together the oil, molasses, maple syrup, soy milk, yogurt and lemon zest. The compellingly beautiful wet ingredients. The yogurt will look really really gross as you whisk it into the other ingredients, but stick with it, because it’ll get less gross soon. Mix in the dry ingredients in two batches. 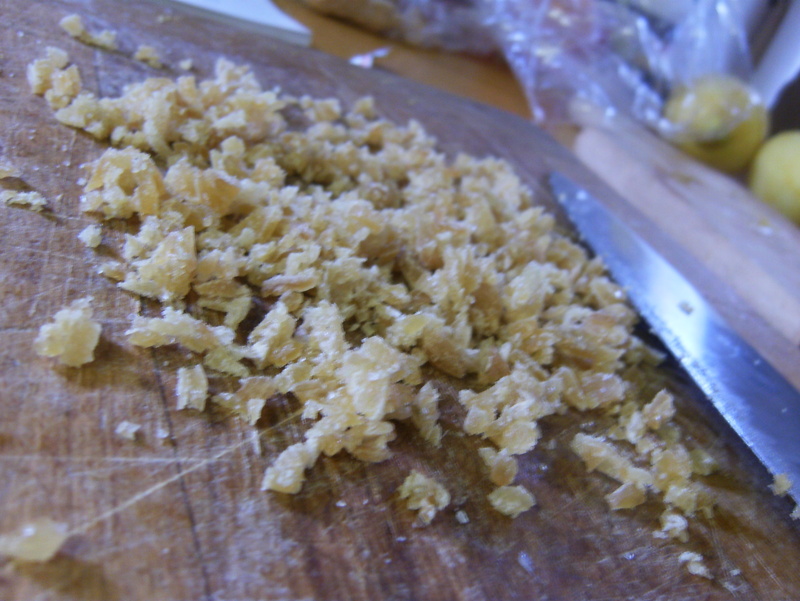 Then, fold in the chopped crystallized ginger, pour into the tins, and bake for 18-22 minutes. 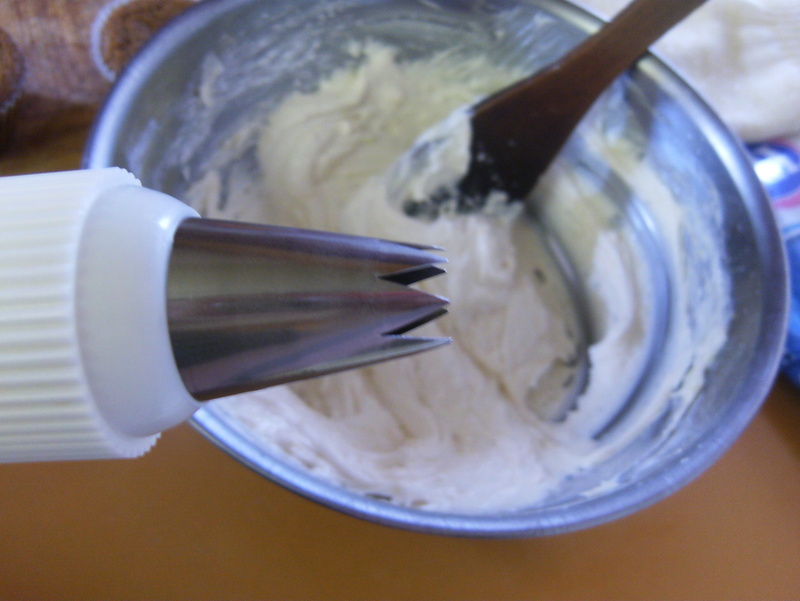 Cream together the shortening and margarine, and add in the powdered sugar in half-cup batches. After each batch of sugar is mixed in , add a splash of lemon juice. After 2 cups have been added, beat in the vanilla and lemon zest. Add powdered sugar to get the right texture, and frost the cupcakes! The lemon and ginger play off each other really beautifully, though I think a cream cheese (vegan or otherwise) lemon frosting would be perfect. 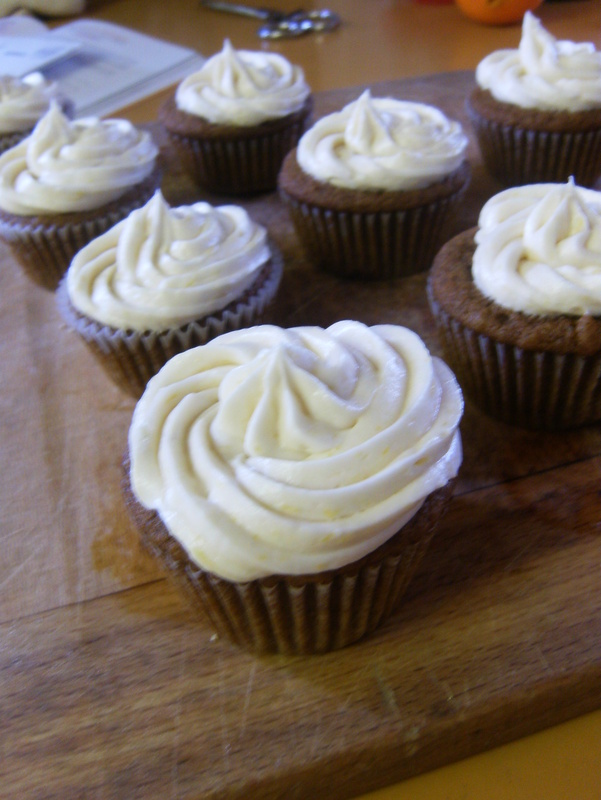 on July 25, 2010 at 11:24 am | Reply Gluten Free Cupcakes: Lemon Almond « Cupcake Villains Strike Again!